On October 1st 1917, Nadikerianda Chinnappa wrote the Kodava thakk song Sri Moola Kanniye ('Primal Goddess'). He called this the Swadesha Priya Keerthana (literally 'Hymn of the love for self-rule') and the 'National Anthem'. This song is dedicated to the Goddess Kaveri, the patron of Kodagu and the Kodavas. One must note that this belonged to the pre-Independence age when the British Raj prevailed over the Indians who however wished to become sovereign. This song was included in the 'Introduction' of the original version of the Pattole Palame that was released in 1924. However in the second and the third editions, that came out in 1975 and 1995, the poem was omitted. But in the fourth (2002) and fifth (2006) editions these omissions were noticed by the grandchildren of Chinnappa, who had been abroad those many years, and hence subsequently included. Chinnappa's family members and relatives sing this song as their daily prayer. Although he was best-known for his compilation work, the Pattole Palame, he wrote originally in three languages: Kodava thakk, Kannada and English. Chinnappa was also a well-known Kodava thakk poet, his most famous poem being Sri Moola Kanniye ('The Primal Goddess'), which is popularly called the Kodava anthem. He also wrote a well-known poem in Kannada and it was titled Somagiri Devaru ('the God of Somagiri'). So he was not only a compiler and a translator but a poet and a singer as well. A copy of these recordings were kept in the British Library's 'Sound Archives' in the Madras Museum. This was digitised recently and is with the University of Chicago. Kodava thakk is called Kodaga and it is wrongly identified as being a language of the erstwhile Madras province. The archives don't credit Chinnappa, they simply state that the narrator is unknown. His son, Subbayya, heard and recognised his voice upon hearing it in the Madras museum in the early 1970s. Chinnappa had four sons and two daughters but among them his first three sons passed away, the surviving children were two daughters (Gangamma and Muththamma) and one son (Subbayya). He also had two step children, a boy and a girl (Aiyanna and Bojamma), the children of Nanjavva and his late elder brother Subbayya. Besides these five surviving children he also adopted his widowed sister Chinnavva's daughter Akkamma. He got his only surviving son, who was a B.Ed. trained high school teacher, engaged to Neravanda Nanjappa's daughter Ponnamma, who was also high school teacher. But before the marriage was to happen he died of cancer, aged 56, in 1931, on 12th September, only a few months after his retirement from the police service. The Pattole Palame was written using the Kannada script originally. Nadikerianda Chinnappa had begun translating the work into English in 1925 but he died in 1931, before he could complete it. This work is considered the main literature of the Kodava language. This book is also referred by the Kodava Hindus who seek to clarify ancient traditions. The 119th birth anniversary of Chinnappa was celebrated in 1994 jointly by the Karnataka Janapada (folk) association and the Yakshagana Academy. Mittu Subbayya, his son, also wrote a lot, including poetry and drama. His son and daughter-in-law were both teachers, Mittu Subbayya was an Education Officer. Their daughter Nanjamma and Chinnappa's daughter Boverianda Gangamma's son, also called Chinnappa, cross-cousins, got married. Boverianda Chinnappa, an engineer with a degree from an Illinois university, and Nanjamma, a statistician who was a visiting fellow at Cambridge University in 1974, pursued their professions at Chennai, Kolkata and Canada. In the 1970s, Boverianda Chinnappa, Nanjamma's mother and Nanjamma began to copy out the Pattole Palome in longhand over almost three years. While they were searching for copies of the original edition of the Pattole Palame, a ninety-year old farmer and self-taught folk artist, Bacharaniyanda Annaiah, responded to their advertisement. During his youth unable to afford the book he had copied out the entire text word by word under a kerosene lamp. This hardcover book he gifted to the Chinnappas. Nanjamma's parents assisted in translating and interpreting the text. In the second edition of ‘Pattole Palame” (or ‘Silken Lore’), published by the University of Mysore in 1975, the editor describes it as one of the earliest extensive collections of folklore from any Indian community. After retirement the Chinnappas settled down in Bangalore in 1995 and began to realise his cherished dream. Finally in 2003, they completed the work and it has been published by Rupa & Co., New Delhi. That same year it was released in Madikeri (Mercara). This book has become the chief text for the Coorgs. Boverianda Nanjamma and Chinnappa have chalked out at least ten Kodagu-based projects for the future, including a directory of the Aine mane or ancestral homes, a lexicon of the Kodava language and a biography of the late Bacharaniyanda Annaiah, a self-taught folk artist. Presently they have been working on the ainemane project, this can be seen on the Ainmanes website. N. Ponnappa, the famous cartoonist, is Nadikerianda Chinnappa's grandson - the son of Subbayya and brother of Boverianda Nanjamma. Biddappa, Major Puggera P. Nadikerianda Chinnappa (in Kodava thakk), Bangalore, 1996. Chinnappa, N. Pattole Palame (in Kannada) 2006 . Ramachandrachar, D. B. Nadikerianda Chinnappa (in Kannada), Bangalore, 1994. See the Wikipedia article originally written by the author of this blog. I would thank Nadikerianda Chinnappa's grandchildren Boverianda Nanjamma and Chinnappa for sharing this information with me. Oral traditions had been associated with several ancient people; the Indo-Iranians, called 'Aryans', with the Vedas and the Tamils with the Sangam. These were initially oral but later they came to be written down in the literature of the region. Vyasa, the celebrated legendary poet compiled the hitherto oral classical Vedas and the Puranas into literary form. For this great contribution to Sanskrit literature he was known thereafter as Veda Vyasa. The Kodava poet Nadikerianda Chinnappa did something similar. He compiled the hymns and the chief ballads of the region of Kodagu into his magnum opus Pattole Palame. Comparitively the medieval Palome associated with the Kodavas is more recent than these ancient classics. It mainly comprised of folk ballads and hymns sung on special occassions accompanied by dudis (small hand-held drums). The Palame is actually folk music, music that is transmitted orally, without known composers and as music of the peasants (in the present context the Kodava freeholders). Kodava thakk (‘speech of the Kodavas’) developed a literature only in the early 20th century. There is nothing unusual about it, most languages of the world (including national languages like Finnish) have developed a literature very lately. Scholars like Hardas Appachcha Kavi and Nadikerianda Chinnappa wrote Kodava thakk in the Kannada script. Until then all literature in the district was in the Kannada and even in the Malayalam languages. The native astrologers, called the Kanniya, wrote natal charts of individuals in the Malayalam script. It is however unclear whether the language used to write in the Malayalam script was actually Kodava thakk or Malayalam. The folk dances of Kodagu were performed as the Palame was sung sometimes. In southern parts of the Sub-continent, tradition has it that Mohini (a form of Vishnu) taught Bhasmasura (a demon who was killed when Mohini outwitted him) 18 different forms of dances, each of them in the imitation of an animal. For instance, in Sri Lanka the peacock dance (Mayura Wannama), the monkey dance (Hanuma Wannama) and the elephant dance (Gajaga Wannama) are a few of the forms of these 18 dances that are performed there. Likewise in Kodagu, the peacock dance (pili attu) and the deer dance (kombu attu) are the most well-known forms of these 18 dances. After matriculating in Mercara from the Central High School he did his F.A. (First Year Arts) from Mangalore. In college he was good at sports, especially in Hockey and Cricket, and in studies. He got married to his deceased brother Subbayya's widow, Nanjavva, in accordance to tradition, and worked as a teacher in Mercara Central High School. In 1899 he joined the revenue department and became a Senebaayi (Shanbhog or Accountant). That year in September he wrote an English poem, 'My Position as Shanbog'. The following year he became a Revenue Inspector and in 1902 he joined the Coorg Regiment of the army as a JCO. Here he became the Subedar-Major. When the regiment was disbanded in 1904 he joined the Police Department, underwent training in Vellore and became a sub-Inspector in Kushalnagar. Thereafter he served in Napoklu, Srimangala and Virajpet for some five or six years each until he was made Prosecuting sub-Inspector and posted in Madikeri. Later he became a Prosecuting Inspector in Coorg. He spent his leisure in travelling on horseback through the hills of Coorg. He got acquainted with several folk singers and thereafter he began to compile folk songs. By the year 1922 he had gathered enough material for his book, the Pattole Palame, and had completed it. The Palame was the general term for the Coorg folk songs. Beside this he also collected nearly 750 Kodava idioms and proverbs. The Pattole Palame, a collection of Kodava folksongs and traditions compiled in the early 1900s by Nadikerianda Chinnappa, was first published in 1924. Some British officials who were interested in Indology(C. S. Sooter and C. Hilton Brown) had encouraged him and some prominent Kodavas (District Magistrate Rao Saheb (later Dewan Bahadur) Ketolira Changappa, Retd. Mysore Councillor Rao Bahadur Kodanda Maadayya and Retd. Assistant Commissioner Kodandera Kuttayya) reviewed his compilation (the Pattole Palome). 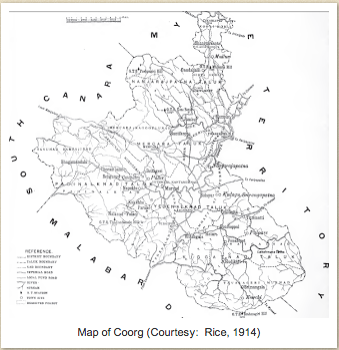 C.S.Sooter, the then Commissioner of Coorg, got the British Government to publish it. Kullachanda Karumbayya was the proof examiner for the book. The most important Kodava literature, it is said to be one of the earliest, if not the earliest, collection of the folklore of a community in an Indian language. Family histories, rituals and other records were scripted on palm leaves by astrologers. These ancient, scripted leaves called Pattole (patt - silk, ole - like) are still preserved at Kodava Aine manes. Palame was the name for the hereditary oral tradition of folk songs and ballads among the Coorgs. Nearly two thirds of the book consists of folksongs that were handed down orally through generations. Many of these songs are sung even today during marriage and death ceremonies, during Kodava festivals relating to the seasons and during festivals in honour of local deities and heroes. Traditionally known as Balo Pat, these songs are sung by four men who beat dudis (small, handheld, hourglass-shaped Coorg drums) as they sing. The songs have haunting melodies and evoke memories of times long past. Kodava folk dances are performed to the beat of many of these songs. The fourth edition of the Pattole Palame was published in 2002 by the Karnataka Kodava Sahitya Academy. In 1929, Chinnappa's translation of the Bhagwat Gita into Kodava thakk, called Bhagvathanda Patt ('God's song'), got published. This was written in the style of the Balopattu (Palame songs) and in a simple manner which could be understood by common people as well. 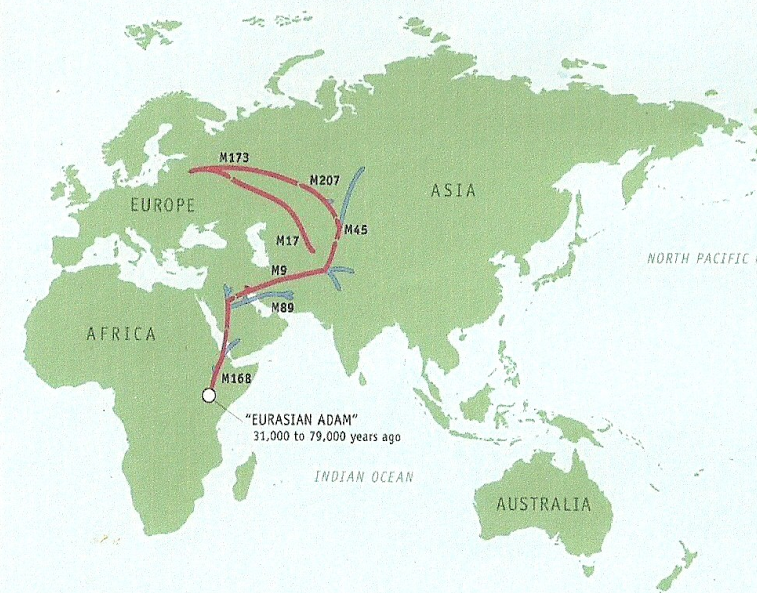 Migratory route of a branch of people (R1a1) from the motherland of all the human race (Africa). Several months ago I had been to an ASI protected (at least it had one Archaeological Survey of India sign board) prehistoric place famed for megaliths. I wrote about it and it was published in the Deccan Herald Bangalore Edition (Spectrum supplement, dated: Nov. 26, 2012) with three photographs that I had taken on the spot. A miniature version of one of these photos even came on the corner of the newspaper's front page along with the caption! (The original title I had given was 'Hill of the Maurya' but this one, Heaps of broken images, sounds better; it's from T. S. Eliot's "The Waste Land".) The article's editor claimed it was a discovery. The place was quite interesting and before visiting it I had read up much about this site, whose historic value was relatively unknown. Such historic sites actually need to be well-preserved for posterity. The three photographs in this article and a smaller one on the Deccan Herald newspaper's first page were mine. However, unlike Richter, in the Coorg Inscriptions (part of Epigraphia Carnatica, 1914 edition), the more reliable B. L. Rice (1837-1927) writes on page 51: "Srimatu Partthiva-samvatsarada Phalguna 10 Guruvara Annadani-arasinavara yituba kattisidaru katidavaru Venkataiya Malaiyya Bomarasaina baraha Basalinga-devaru Nannagaudana kaladali ayita." This translates to: "On Thursday, tenth of Phalguna month in the year Parthiva, Ruler Annadani built it. Venkataiya Malaiya Bomarasa wrote this inscription. This was during the times of Chieftain Basalinga Deva." This inscription was originally on the sluice of the Honnamanakere (Honnamma lake). Thus Basalinga is no Raja (hence not Devappa Raja) but simply a chieftain, while we come to know that King Andany was Annadani (c.1106), an ancient Raja of Kodagu. This hence makes the construction of the lake and sluice much older, dating back to the twelfth century and not the eighteenth century. Kolhlhakongi Nayaka was the ancestor of the Nayakanda clan of Kadiyatnaad. In Konhanjageri village was the Kochamanda house, where now lays the Biddanda house. Near this house was a Bhagwathi (village goddess) temple. Now Kolhlhakongi Nayaka captured the idol of that Bhagwathi temple forcefully and got it installed in the Bhagwathi temple near his house at Kirundad. This upset the villagers of Konhanjageri and it’s chieftains the Kochamanda. So thereafter there used to be skirmishes between the villagers of Kirundad and Konhanjageri. The Raja's Dalavoi (General), Pardanda Ponnappa, took advantage of this feud and spent the night in the Kochamanda house where his men were fed well and given place to rest. In the wee hours of the next day Ponnappa and his men awoke and went to the house of Kolhlhakongi Nayaka in Kirundad. The house is situated in what is now Kai-Kaadu village. The mansion of the chief was a mud house guarded by a deep Kadanga (a simple fortification consisting of a ditch dug out between two mud walls). The house members were still asleep when Ponnappa and twenty five men knocked on the entrance door. The unwary residents opened the door unarmed and then Ponnappa and his men barged in. The womenfolk cried out loud: ‘Enemies have entered’. Then the Nayaka and his brothers quickly picked up their broad swords (called the Oidekatti) and rushed towards the intruders. They had a fierce fight until Kohlhakongi and his men were killed. Very few of Ponnappa’s men, who outnumbered them many times, sustained severe injuries. When he heard of Kolhlhakongi Nayaka's death, Achchu Nayaka strengthened his defences and deepened his Kadangas. So Pardanda Ponappa and his men devised a plan. A few of them disguised themselves as mendicants and went about Anjigheri naad, the land of Achchu Nayaka, in Kiggat naad. It was the Kail Polud (an important Kodava festival) season and everybody were just too busy to notice the beggars who wandered at that time. Beggars often visited the place during times of festivity to be able to get some leftovers. Ponnappa's men surveyed the land and then went away. The Coorgs of the region were busy hunting. So one night when Achchu Nayaka and his men were away on a hunt Ponnappa and his men scaled the village walls and then entered the house of Achchu Nayaka. They had got into the house when the Nayaka's men returned and fell upon the intruders. A battle ensued in which Achchu's men were mostly killed. Achchu Nayaka and Ponnappa fiercely fought each other by sword and sustained serious injuries some to the head. Ponnappa fell unconscious while Achchu Nayaka who was outnumbered had his weapon taken away and was captured. They were all taken away alongwith Achchu Nayaka's family to the Madikeri palace. Here Achchu Nayaka was treated as a guest and kept under house arrest. Anjigheri naad accepted the rule of Dodda Virappa (1657-1736) upon learning about the fall of their leader. Meanwhile Uththa Nayaka escaped to Vayathur (Baithur) in Kerala. The descendants of Uththa Nayaka and of Kolhlha Kongi Nayaka were called the Nayakanda of Beppoo naad and of Kadiyat naad respectively, both are unrelated. Achchu Nayaka died in Madikeri and his eldest son went to the Malabar to learn Tantra. The Namboothiri Brahmins of Malabar were masters of Tantra, but a few of the Coorgs (like Kaliatanda Ponnappa before Achchu Nayaka's son) who went there, learnt the art from them and returned into Kodagu to be revered all their life. According to Richter (who wrote in 1870), in around 1810, the family of Achchu Nayaka was exterminated. The house name of Achchu Nayaka's father was Katte (Kattera), a hero of this family of Kiggat nad was mentioned in the ancient Palame. This must have been the Kattera family of Kiggatnad, which is now extinct, probably due to the extermination ordered by the Kodagu Raja. However other branches of the Kattera clan is still existent and living in other parts of Kodagu. 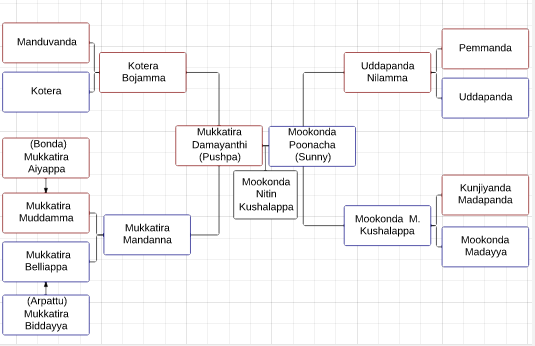 The Ajjikuttira family claim descent from Achchu Nayaka, some claim that his uncle was Ajjikuttira, others claim that his tantric son was called Ajji Kutty. Between the years 1782 and 1789, conflict arose between the Coorgs and the Mysore Sultans. The Haleri Raja dynasty members were imprisoned by Mysore. The Coorgs engaged the Sultanate in a guerrilla war and they kept declaring themselves independent each time after the Sultan marched through Kodagu to secure it. 12 Coorg Palegaras (also called Patelas) led the Coorgs; four among them were more important, they being: Kuletira Ponnappa, his brother Kuletira Machchayya, Appaneravanda Achchayya and Pattacheravanda Boluka. Another Patela was Uththa Nayaka of Kadnoor. They led the Coorgs and later got the members of the Haleri dynasty to escape from confinement in Periyapatna. Chinnappa, Nadikerianda. 2006. Pattole Palame (Translated by Boverianda Nanjamma and Chinnappa) Delhi : Rupa. Chinnappa, N. 2006 . Pattole Palome (Kannada), Madikeri: Karnataka Kodava Sahitya Akademi. Richter, Rev G. 1870. Gazetteer of Coorg Mangalore : Basel Mission. Rice, B. L. 1914. Epigraphia Carnatica Vol 1 . Madras: Madras Government Publications. Kiggat nad remained outside Haleri control until the reign of Dodda Virappa. Chittiappa Nayaka ruled Anjigheri nad (‘nad of five villages’), Mathth Mukkati Nayaka ruled over Maththur and Machangala (Machangada) Nayaka ruled some other parts of Kiggat nad. Periyapatna was under relatives of the Ikkeri Rajas and allies of the Haleri Rajas. Nanjunda arasa was the Raja of Periyapatna. Many Coorgs lived in Periyapatna at that time. A feud arose between Chittiappa Nayaka and Machangala Nayaka. A tiger was killed in the forest, which bordered both their territories, and both claimed to have killed it. Chittiappa’s claim was widely accepted and so Machangala grew jealous. One night, along with his ally Mukkati Nayaka of Maththur, he had Chittiappa’s house burned down and it’s inmates killed. However, Chittiappa’s son Achchu was saved by the housemaid who then escaped to Periyapatna where she sought and obtained refuge. Nanjunda arasa ('ruler') became mentor for Achchu and got him educated in his palace. Upon his coming of age, he returned home and with assistance from Nanjunda arasa he defeated and killed his two sworn enemies who had destroyed his family. Then he annexed their territories and established himself as the Nayaka of Kiggat naad. Uththa was an orphaned Coorg boy of common parentage. He was made the cowherd of the Buduvanda clan, the Thakkas (traditional local chieftains) in Beppoo naad in South Kodagu. He was noticed and brought up by Muddu Raja who was like a foster parent to him. Being a favorite of the Raja, the Raja gave his daughter Neelammaji in marriage to him, got a fortified palace built in Armeri in Beppoo naad and made him the feudatory Nayaka there. 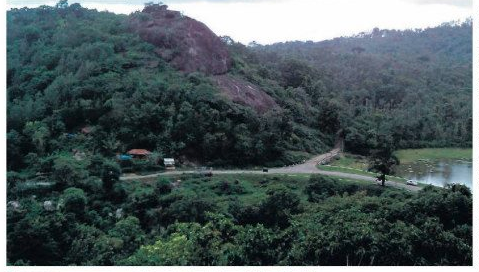 This way the Raja planned that there would be an Haleri stronghold in South Kodagu just as it was there in North Kodagu where the Madikeri palace and fort and the palaces at Haleri and Horamale naad (Appangala) existed. However the people of Beppoo naad didn't think highly of the Nayaka and would deliberately ignore him. This enraged Uththa Nayaka who was hurt and sought to avenge this insult. So he planned to get the Balliamanes (ancestral houses) of the Bachetti and the Ichetti (Bachettira and Ichettira) clans burned down. The Bachettira and the Ichettira were powerful families of the region. One night Uththa Nayaka, along with his accomplices, crept up to the Bachetti and the Ichetti residences, got the doors locked from outside and burned down the hay-roofed houses. In those days the Coorgs lived in houses which had roofs made from the hay obtained after the paddy was threshed out. The people were trapped inside and they cried as they burnt to death in pain. Anyone who tried to escape, especially the men, were beaten up and killed. In the Ichettira house, any chances of escaping were very slim, in fact impossible. There were several infants in the house at that time. The household maids, who lived in separate quarters, came toward the house on seeing the fire. The elders called out to the maids, picked up the infants and threw them out of the small high windows. Two of the infant sons survived and were carried away by the maids to safety. They headed to the Ballachanda clan who were close to the Ichettira clan and narrated the incidents the incidents that occurred Feeling pity, the Ballachanda thereafter reared the two boys, one was named Appayya and the other was named Poovanna. They survived into adulthood, got married and had children, thus they are recognized as the founders of Ichetti clan. Meanwhile, in the Bachetti mane one of the pregnant women survived, having been away from the house and at her parents' place. She gave birth to a son who survived into adulthood, got married and had children. He thus regenerated the Bachettira clan and is recognized as the Karana (primal ancestor) of the clan. Later Ichetti Appayya became a Dewan (Prime Minister) of the Coorg Rajas. The Ichettira and the Ballachanda clans don't inter-marry because they recognize each other as brother clans. Later Uththa Nayaka was an opponent of Dodda Virappa his brother-in-law, son of Muddu Raja and the next king. Dodda Virappa had to fight off attempts that were made by Uththa Nayaka to oust him. Uththa had contrived to get the Kodagu country from him. According to one source, he had even managed to usurp the throne and become Raja for a while, around the initial years of Dodda-Virappa's reign. He allied himself with other dissidents such as Kolhlha Kongi Nayaka and Achchu Nayaka, independent Coorg Nayakas and contemporaries. When Dodda Virappa was the Raja of Kodagu his relative Nanjunda was the Nayaka of Periyapatna. Nanjunda's officials betrayed him and invited the Raja of Mysore, Chikka Deva Raja, to invade the town and rule over them. Perceiving this threat, Nanjunda fled to his kinsman to espouse his cause and march in his support against Mysore's invading army. He had meanwhile left his son Vira Raja in command of his capital. But the enemy laid siege on the fort and captured it. In desperation, the Raja killed his wives and children, lest they fall into the hands of the enemy and get tortured, then he gallantly fought a losing battle against the enemy and got killed. It was too late before the army of Dodda Virappa could arrive. Thereafter Nanjunda was a broken man who spent the rest of his years in Kodagu. The Coorgs who had settled down in Periyapatna abandoned the place and entered Kiggat naad. Incidentally, Nanjunda had mentored Achchu Nayaka during his initial years as Nayaka of Anjigherinaad (and eventually of Kiggat naad entirely) and aided him in his war for power. Chikka Deva Raja was in ecstasy after his victory. He then marched forward towards Kodagu and sought the conquest of the land. His army marched into Balele in Kodagu and then proceeded into the plain of Palupare (Palpare) when their advancing forces were met by the Coorgs. The large army of Mysore was then fiercely slaughtered by the emotionally-charged and sturdy, but outnumbered, Coorg army. 15 thousand soldiers and 77 officers of the Mysore army died that day. The rest of the Mysore army was forced to flee. Meanwhile, Uththa Nayaka was still scheming to get the throne. So as he planned, once the Coorg army had marched to face Mysore, he invited the Kote Raja Vira Varma of Waynad to invade Kodagu. Assuming that the Coorg army would be bettered by the Mysoreans, Uththa got a temporary fortress built for the Raja of Waynad and his 5000 Nair soldiers at Tomara. He promised to provide this garrison supplies. But when Dodda Virappa heard of this treason, he sent over a force of 1500 Coorgs to Tomara to lay siege to the place. Hence the garrison and the Kote Raja were cut off from any supplies which Uththa was prevented from provided. Meanwhile, the victorious Coorg army returned from Palpare through Tomara. They destroyed the garrison, slaughtering it's men. Vira Varma, the Kote Raja, surrendered before Dodda Virappa and pleaded mercy but was instead executed. In 1718, Pardanda Ponnappa of Naaladi village of Nalku Nadu was the Sarva Karyagara (general) of Dodda Virappa. At that time parts of South Kodagu were independent of Haleri rule. Kiggat naad had been independent of the Rajas while Beppu naad was part of the Haleri kingdom but grew independent. Dodda Virappa sent Pardanda Ponnappa along with a hundred men to defeat Kolhlhakongi Nayaka of Kadiyat naad, Uththa Nayaka of Beppoo Naad and Achchu Nayaka of Kiggat Naad. For centuries before the reign of the Haleri Rajas (c.1600-1834), Kodagu was under it's Nayakas. Kodagu was divided into 12 regions, groups of nads (shires), and each of them was ruled by a chieftain called a Nayaka (also called a Palegara, a Bachikara or a Bavu). Each region was divided and separated from the other by a Kadanga (ditches fortified by mud walls) . These Kadangas remained untouched over the ages by the Haleris and after them as well. The hereditary families and the chieftains of each region are largely forgotten; as writing was not yet wide-spread then, no records remain till date. However oral traditions and references in the accounts about the Rajas mention them. The ancient Coorgs were allies of the Kolathiri kingdom of neighbouring Kannur; some Coorgs served as mercenary soldiers of these Hindu Rajas, but in general they traded large quantities of rice in exchange for gold, salt and other commodities with them. In the Song of Igguthappa (God of the Kodavas) there is the mention of one Nayaka of Kiggat naad, Appa Kongi Balu (the Nayakas of Kodagu were also called Balu or Bavu a term for a local leader). He gave an abode to the brother of Igguthappa, called Pemmayya, in Thirunelli on the fringes of Kiggatnaad in what is today in Waynad. This shrine of Pemmayya became the famous Thirunelli Janardhana temple dedicated to Shiva. When Pemma Virappa was the Changalva Raja in around 1174 CE, his lieutenants were Gondayya and Kurchi Udayaditya, they were the Kodagu Malepas (hill chieftains, or Nayakas) of that age. 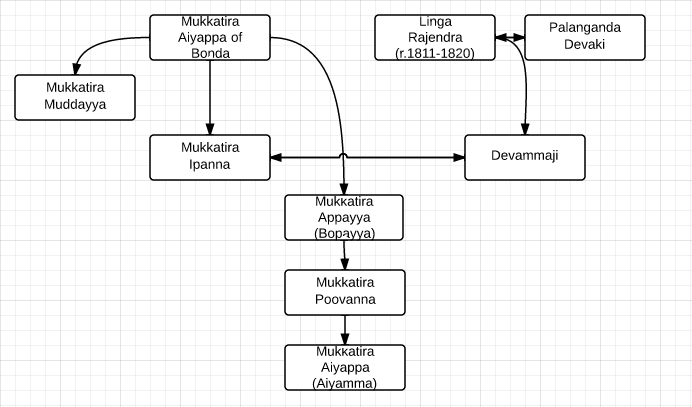 Later some important Coorg Leaders were (Ajjikuttira) Achchunayaka of Anjikerinad in Kiggat naad, Karnayya Bavu of Bhagamandala, Kaliatanda Ponnappa of Nalknad and (Nayakanda) Uththanayaka of Armeri in Beppu naad. Even after the reign of the Rajas a Council of Elders governed over the Coorgs. Some of the other lesser known Nayakas were Bavali Kolhlhakongi Nayaka of Kadiyat Naad, Kaibili (Kaibilira) Nayaka of Thavalhagheri naad, Maachangalha (Maachangada) Nayaka of Haththu gattu naad and Mukkati Nayaka of Maththur. Even under the rule of the early Haleri Rajas, from the reign of the first king through the reigns of his son, his grandson, until the reign of his great grandson large parts of Kodagu remained independent, to some degree, from the Haleri Rajas. These parts were controlled by powerful individuals who called themselves Nayakas. While Kaliatanda Ponnappa and Karnembahu were contemporaries of the first Haleri Raja (Vira Raja), Chittiappa Nayaka, Machangada Nayaka and Maththur Mukkati Nayaka were contemporaries of Vira Raja's grandson Muddu Raja, Uththa Nayaka, Achchu Nayaka and Kolhlha Kongi Nayaka were contemporaries of Muddu Raja's son Dodda Virappa. The descendants of Uththa Nayaka of Beppoo naad call themselves the Nayakanda today. In circa 1600 CE, the first Haleri Raja, Vira Raja I, had established himself in Kodagu. At that time there were two powerful local lords: Karnayya Bavu of Tavunad (Bhagamandala region) and Kaliatanda Ponnappa of Naalnaad (Nalknad). Kaliatanda (also called Kaliat) Ponnappa is the hero of a popular Kodava ballad. He was a magician, a warrior and the most important person of Naalnaad. The following is the story of Kaliatanda Ponnappa. In Kunjala village in Nalknad among the 20 original okkas who lived there, there was the Kaliatanda okka. To this clan belonged Kuttaya whose wife Chiyavva was of the Kuttanjettira okka of the neighbouring village of Bale Nurambada. But for years they had no offspring and so they performed penance for forty days and paid obeisance Iggutappa. After some time Ponnappa was born to the couple. Kaliatanda Ponnappa studied the magic arts in North Malabar and became a famous tantric (magician). He had a friend and man Friday Boltu of Bollur, a very handy assistant who belonged to a forest-dwelling lower caste from the vicinity of Kodagu and was also well versed, like Ponnappa, in sorcery. Ponnappa reigned in Nalknad but displeased the Nayaka of Tavunad who became his nemesis. Kaliat Ponnappa went to the Haleri Raja to seek his protection against Karnayya Bavu of Thavu nad and his stealth army. At that time Nalknad was under the Haleri Raja, but Thavu nad still enjoyed some amount of independence. After Ponnappa's death, Vira Raja managed to kill Karnayya and bring Bhagamandala and Thavu naad under his complete control. Ponnappa is also known as Kaliat Achchappa. His followers who claimed to be possessed by his spirit would perform the magic tricks that he performed during his lifetime. He is an ancestor of the Kaliatanda clan. While Richter claimed that Karnayya was a Coorg and Kaliat Ponnappa was a Malayali, this claim is erroneous. Many other historians like D. N. Krishnaiah, who were better equipped with information, clearly state that it was Karnayya who was from Kerala and Kaliat Ponnappa was a Coorg who however roamed the Malabar in his young days to procure an education. Richter, on the other hand, spoke about Ponnappa being a Malayali sorcerer who naturalised in Coorg, married a Coorgi woman, practised his trade in Nalknad and displeased some Coorgs who then shot him dead near the Nalknad Kacheri. However Ponnappa's traditional ballad says that he was born of Coorg parents, Kaliatanda Kuttayya and Chiyavva, and that his mother was from the Coorgi Kuttanjettira clan. He was a magician who married his mother's brother's daughter and had an altercation with Karnayya whose men killed him. A smartphone is a mobile phone with an operating system, multimedia support, Internet connectivity and some computer abilities. It would serve as a media player and a digital video camera, usually has a touchscreen, map navigation, Wi-Fi access and web browsers. Nokia's Symbian phones and Blackberry can be called the early popular smartphones. However it was the iPhones with their large multi-touchscreens (which used no stylus but the human touch) that revolutionized the smartphone world. Although I use smartphones, I still keep a Nokia feature phone maybe for old times sake and for simplicity. Apple is credited for popularizing software technology be it the personal computer with it's Mac, the mp3 player with it's iPod, smartphone with it's iPhone or the tablet with it's iPad. Predictably iPhone 5 is a bigger version of the previous version, but there stops the freshness. IPhone 5 has arrived a year too late. In fact one can state that it is the Samsung Galaxy SIII that's the best smartphone currently with it's powerful hardware, polished looks and creative software. 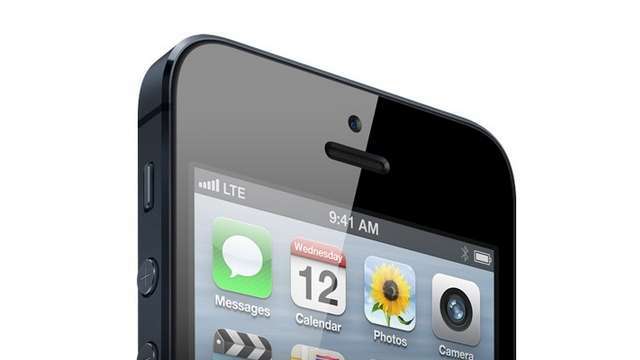 The iPhone 5 has simply been made as a competitor for the S III. But yes it is the best iPhone until date. As of today (November 3rd 2012) the sales of the S III has hit the 30 million mark. HTC One X is also another great advanced android smartphone. The Samsung Galaxy S III, the HTC One X, the LG Nexus 4, the Samsung Galaxy Nexus and some other phones currently have screens that are bigger than that of the iPhone 5. In the US currently Android sales lead the way followed closely by Apple. Blackberry and Microsoft Phone are distant competitors with below ten percent of the smartphone market share. In China android makes up nearly 70 percent of the smartphone market share. In many European countries, Israel and in Australia, Android comes first followed by Apple. Blackberry still has a significant market in these countries. Symbian is used in Africa (nearly everybody in Guinea Bissau, Somalia, Sudan, Somalia, Libya and Mozambique, many people in Niger, Swaziland, Egypt, Ethiopia, Rwanda, Chad), in India, Russia, Middle East (Oman, Iraq, Jordan), Central and Southern Europe (surprisingly a major player in Italy), South America (Paraguay) hardly ever used in USA and is on the decline in China. License Patents have been brought out to protect Companies' intellectual property. But these have led to several disputes between companies. Litigation, suits and counter-suits have occurred between Software MNCs over the use of technology. Apple initially claimed that HTC and later Samsung have stolen and copied their design ideas. Some of the most famous law suits fought between Smartphone manufacturers have been: 2009 Apple vs. Nokia in 2009, Apple vs. HTC, Nokia and Motorola each in 2010, Apple vs. Nokia, Samsung in 2011, Microsoft vs. Motorola in 2010-11 and Apple vs. Samsung in 2012. 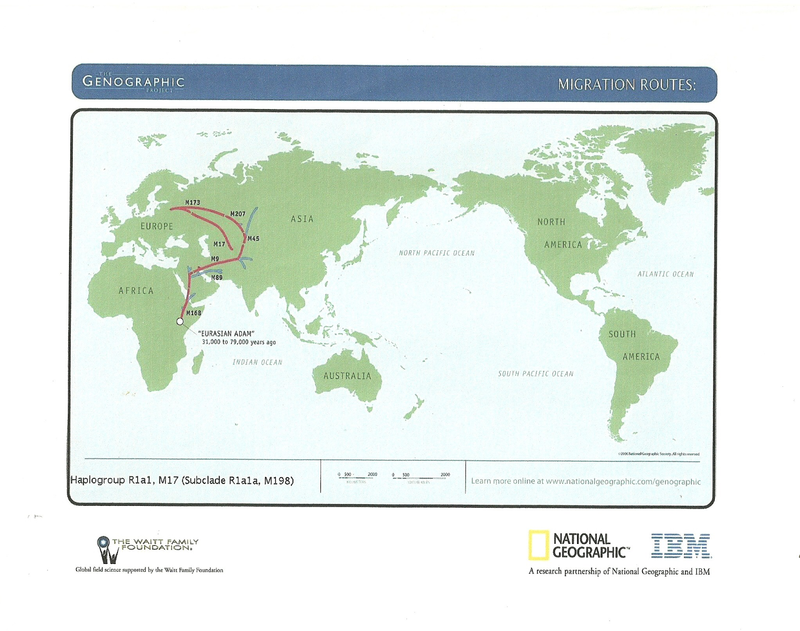 The National Geographic, IBM and the Waitt Family Foundation support the Genographic Project. It traces back the roots of the entire human race to South Central Africa around 50,000 years before period. You can call the first man Manu or Adam based on your religion, but science proves that he had lived in this region of Africa. From there some of them passed through the horn of Africa and Egypt into Eurasia. These early people went on to populate the rest of the world outside the African continent over thousands of years. 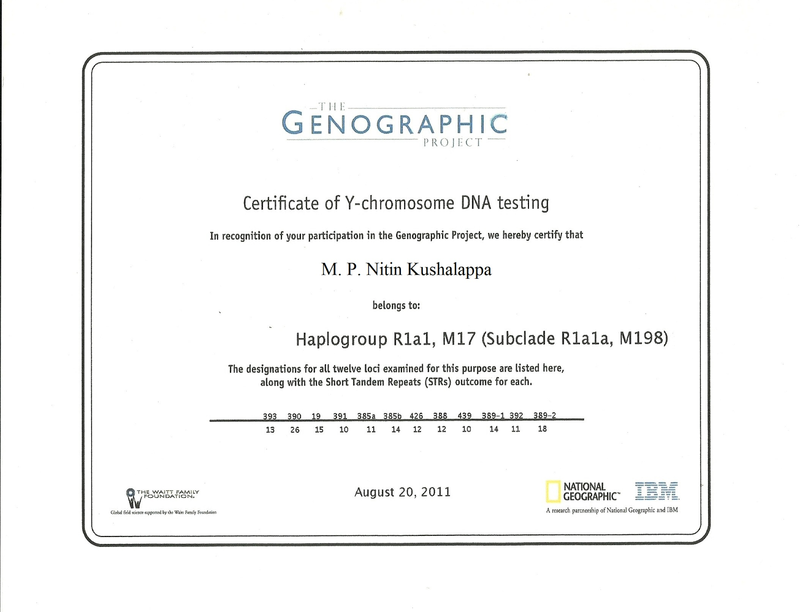 I had participated in the Genographic Project last year. Accordingly I bought the kit from them online. I scrapped the inside of my mouth with the small scalpel they provided, placed the scalpel with the saliva from the inside of my cheeks in a preservative and mailed it over to the Project people. A few weeks later I got to see the results; it said that my Y-chromosome was haplogroup R1a1 M17 (sub clade R1a1a, M198). This is a common gene found among speakers of the Indo-European languages (the language family which includes Sanskrit, Persian, Hindi, Punjabi, Gujarathi, Marathi, Konkani and others). In India many North Indians and a few South Indians carry this gene. People perceive this to be like the normal DNA medical tests but it isn't. The Y-chromosome in the case of men and the mitochondrial DNA (mDNA) in the case of women can be traced from the cheek cell samples. Y-chromosome is inherited from a father to a son and is absent in women. Likewise mDNA is passed on from a mother to a daughter and is not found in men. Sometimes rarely between several generations a gene would mutate. The carrier of this mutated gene would pass it on to their descendants; this marker helps distinguish the carrier's gene from that of other people. Thus an individual's ancestry thousands of years ago can be traced while nothing about their recent history can be determined. R1a1 (M17) is hence the last inherited mutation among my ancestors. This shows that the Kodavas were most likely an Indo-European language (such as Sanskrit and other Indo-Aryan languages like Punjabi and Hindustani) speaking people who underwent a language shift after settling in South India hence becoming a Dravidian-speaking people. For more than two thousand years the Kodavas have lived in Kodagu, having settled the forest region in prehistoric times. Thus ends the genetic trail of a Kodava. It is strange that the R1a1 gene should be found among the Kodavas. The Kodavas have lived in Kodagu for thousands of years and were the first agriculturists of the region. The Kodavas aren't Aryan by culture nor Indo-European speaking. Both their language and their culture are Dravidian like that of the other South Indians. However a legend states that a prince Chandra Varma, a son of Emperor Siddhartha of Matsya (a region in North India) and Chandravamshi Kshatriya (warrior of the lunar dynasty), lived in the Kodagu region. He fathered a 'fierce' race which later came to be called the Kodava race. Their mother, Chandra Varma's first wife, was a Dravidian; Chandra Varma's other wife was barren. The ten sons of Chandra Varma were married to the daughters of the Raja of Vidarbha (an Indo-Aryan kingdom in Northern Maharashtra). Thus this Chandra Varma, if the legend is true in some way, maybe the progenitor of the R1a1 gene among the Kodavas. The legend again speaks of the sons of Chandra Varma being the first to till the land of Kodagu. Hence the progeny of a legendary Indo Aryan man became Dravidian in language and culture over the thousands of years. This legend was found in the Kaveri Purana section of the Skanda Purana, one of the eighteen major Puranas, or books on Hindu mythology. Male family members of a Coorg home. But this gene and legend doesn't exactly account for the Kodavas being Brachycephals (having a large cephalic index, an anthropological measurement). The Brachycephals are a broad-headed people, among them being the Gujarathis (Desastha Brahmins and Prabhus), the Maharastrians (Marathas and Kunbi) and the Bengalis (Vaidyas) of India, identified by their high cephalic index, a ratio of the length and the breadth of the top of their heads. A few of the Punjabis (like the Khatris), the Konkanis (like the Shenoys) and the Mysoreans (like Iyengar Brahmins) were also found to be Brachycephals. Again we can look further into the same Kaveri Purana legend, if it is valid, for clues. The sons of Chandra Varma married the daughters of Vidarbha Raja of Northern Maharasthra, a region inhabited by Brachycephals, hence we can credit the princesses of that same legend for the Brachycephaly of the Coorgs. Yours truly happens to have a sizeable cephalic index as well, nearly 90 in measurement. The cephalic index is the ratio of the maximum width to the maximum length of the head. There are three human groups based on this, the Dolichocephals (the long-headed), the Mesocephals (the medium-headed) and the Brachycephals (the broad-headed). They are not related to any skin complexion and they are found across all the continents. There could be other genes as well found among the Kodavas. No studied community, however closely knit, has been found to have a single gene. Definitely all communities on earth have migrated to their respective regions of habitation at some point of time. The Kodavas are related to a number of other Indian communities, among them the Punjabi Khatri (represented by the ten Sikh Gurus), the Bengali Brahmin, the Konkani Shenoy and the Iyengar. These mentioned groups are classified as Brachycephals and have the R1a1 gene like the Kodavas. Indians have been grouped into six groups by anthropologists on the basis of their physical characteristics : Negritos, Austrics, Brachycephals, Tibeto-Burmans, Mediterraneans (Dravidians) and Nordics (Aryans).